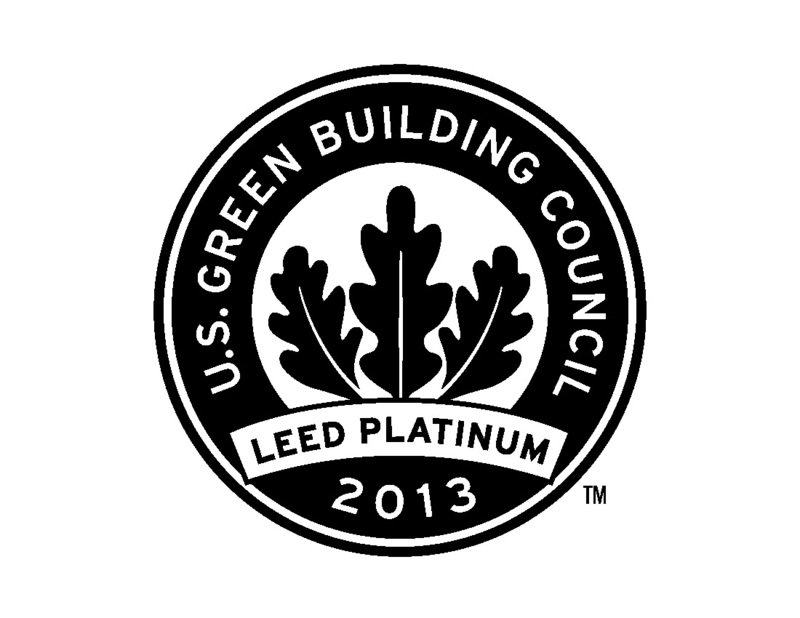 Crawford Apartments – LEED Platinum Certification Achieved! Developed by LIFEDesigns, Inc., Crawford Apartments (Sept 2013) provides 25 apartments for formerly homeless persons and is now officially LEED Platinum certified! 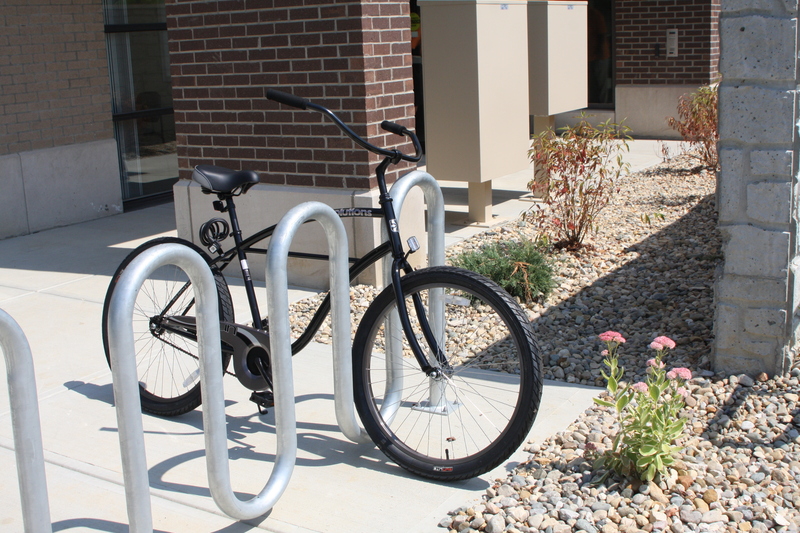 It is Indiana’s first LEED Platinum certified affordable multi-family housing community. 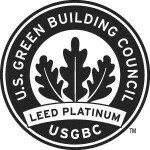 In October, Crawford Apartments on S. Henderson was officially awarded LEED Platinum certification by USGBC for achievement in green homebuilding and design, which is the highest level of certification possible. 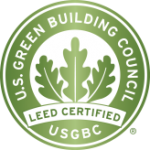 LEED for Homes is a green certification program that rewards homes and apartment buildings that are designed and built to be energy- and resource-efficient and more healthy and durable for the occupants. LEED-certified homes and apartments complete a technically rigorous process that often includes a home energy (HERS) rating and onsite inspections to verify that the residence is built to be energy and water efficient, environmentally sound, and a healthier place to live. Crawford Apartments, developed by LIFEDesigns, Inc, is the only affordable residential apartment building in the state of Indiana that has been awarded the LEED Platinum certification. The apartments were designed by Doug Bruce, of Tabor/Bruce Architecture & Design based in Bloomington, and were built by Gilliatte General Contractors, Inc., out of Indianapolis. Christin Kappel, owner of Simply Sustainable, LLC, specializing in green design and consulting for residential projects throughout the state of Indiana, worked closely with development team for Crawford Apartments to provide design review, suggestions and product selection ideas. On a city bus line less than two miles from Downtown Bloomington, Crawford Apartments is conveniently located for the residents who live there. The apartment complex focuses heavily on reducing energy use. The 25-unit three-story building features solar panels, triple pane low-e argon windows, high efficiency lighting fixtures, 18 SEER HVAC systems, and LED bulbs. 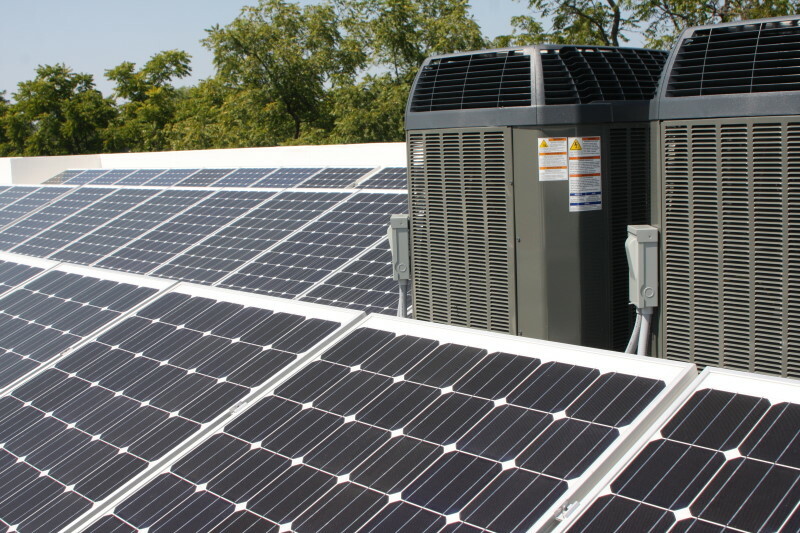 Other energy efficiency upgrades include Energy Star certified water heaters, programmable thermostats, high efficiency gas furnaces and air conditioners, as well as mechanical ventilation. The U.S. Green Building Council is a nonprofit membership organization whose vision is a sustainable built environment within a generation. Since USGBC’s founding in 1993, USGBC has grown to more than 18,000 member companies and organizations and a comprehensive suite of LEED green building certification systems. 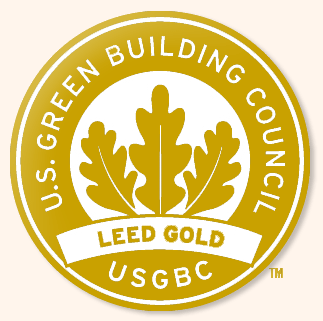 Its membership includes corporations, builders, universities, government agencies, and other nonprofit organizations all sharing USGBC commitment to a prosperous and sustainable future for our nation through cost-efficient and energy-saving green buildings. 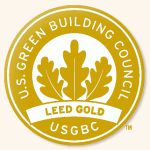 Visit www.usgbc.org for more information. LEED for Homes is a third-party certification system for building and designing high-performance green homes that are energy-and-resource-efficient and healthy for its occupants. Developed and administered by USGBC, LEED for Homes awards points to projects in eight categories of environmental performance: Innovation & Design Process, Location & Linkages, Sustainable Sites, Water Efficiency, Indoor Environmental Quality, Energy & Atmosphere, Materials & Resources, and Awareness & Education. To date, more than 18,000 units have achieved certification with LEED for Homes program, and over 75,000 have registered and are in process. For more information, visit www.usgbc.org/homes. It is a rigorous rating system for the design and construction/renovation of green buildings. It has rating systems for commercial buildings, schools, homes, neighborhood, and multifamily buildings. It is intended to promote environmentally responsible and efficient construction and renovation practices. Though this certification system was developed and is administered in the United States, it is in use worldwide. The categories are: Sustainable Sites, Water Efficiency, Energy and Atmosphere, Materials and Resources, Indoor Environmental Quality. Some types of projects earn points for Locations and Linkages and Awareness and Education. Bonus points are offered for Innovation in Design and Regional Priority. 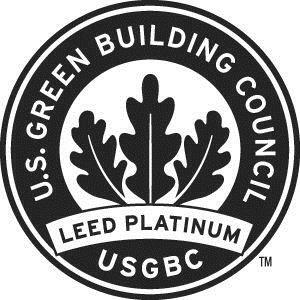 High Performance Energy Efficiency: LEED certified buildings are required to be more energy efficient than typically required by code. Reducing dependence upon fossil fuels is an important objective of LEED. Emphasis is placed upon insulation, windows, doors, heating and cooling systems, hot water heating, lighting and appliances. Additionally, proper installation of insulation and sealing/caulking is required. The result is lower operating costs of the LEED buildings, less air pollution, and reduced dependence upon fossil fuels. Improved Indoor Air Quality: LEED buildings require fresh air circulation and discourage the use of building materials which infuse harmful chemicals into the building. For example, radon, the 2nd leading cause of lung cancer, is mitigated in LEED certified buildings. Also, the installation of cabinets, flooring, or paint containing harmful chemicals is discouraged. Then, owners and residents are encouraged to clean using chemical-free safe products. This creates healthier indoor environments. Water Conservation: Clean fresh water is becoming increasingly scarce and expensive for municipalities to provide to the public. Greater awareness of the high cost to treat and provide the public with clean water is one of the LEED certification objectives. LEED certified buildings are required to conserve water via low flow faucets and lavatories, and smart landscaping with drought tolerant, native plants. Further water conservation via the installation of gray water systems, rain barrels, irrigation, and cisterns, are encouraged in LEED programming. Local Sourcing: LEED requires the use of sustainable construction materials and encourages local sources. This reduce pollution (via fewer transportation miles in materials transport), and promoting sustainable forestry practices. Points are provided for materials purchased locally. Wood supplied must be from sustainable forestry’s. You’re Invited to An Open House! 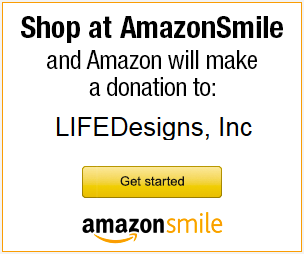 LIFEDesigns Fall Newsletter is Here!